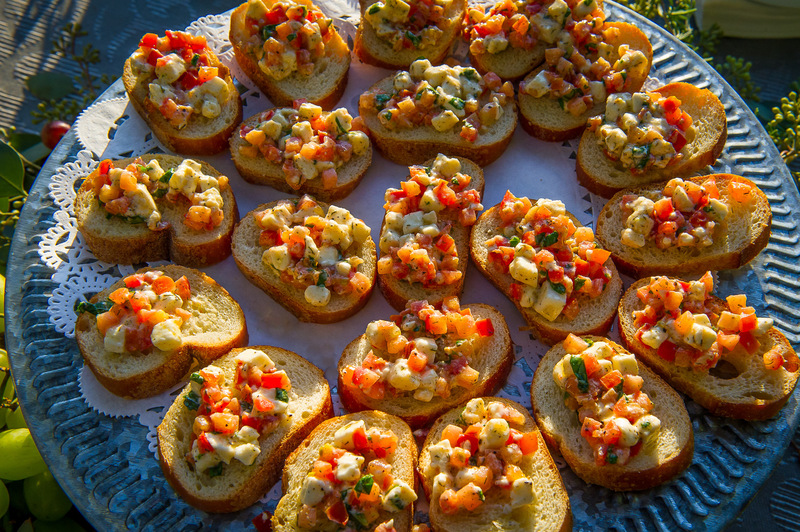 Our chef will bring his portable equipment and prepare your selections right before your guests eyes. 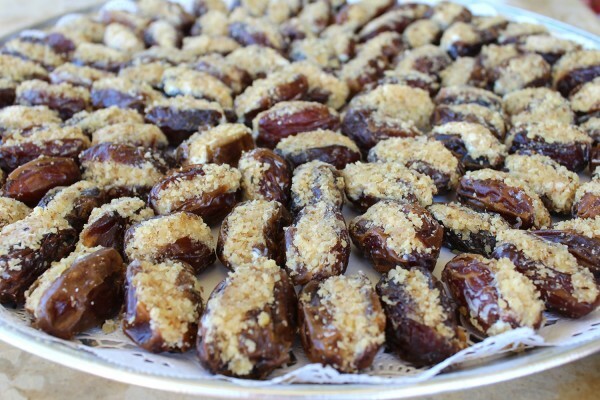 All orders are subjected to 9 % California sales tax and 15% service charge from the total. Pieces of Manchego cheese, Spanish chorizo and Spanish olive stuffed with pimiento in a toothpick or banderilla. 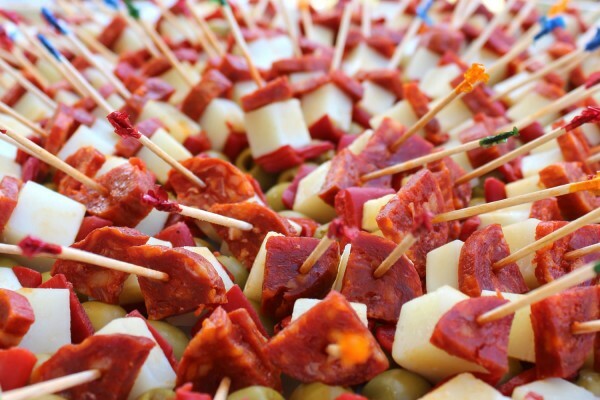 Pieces of cantaloupe, and Spanish serrano ham in a banderilla or skewer. 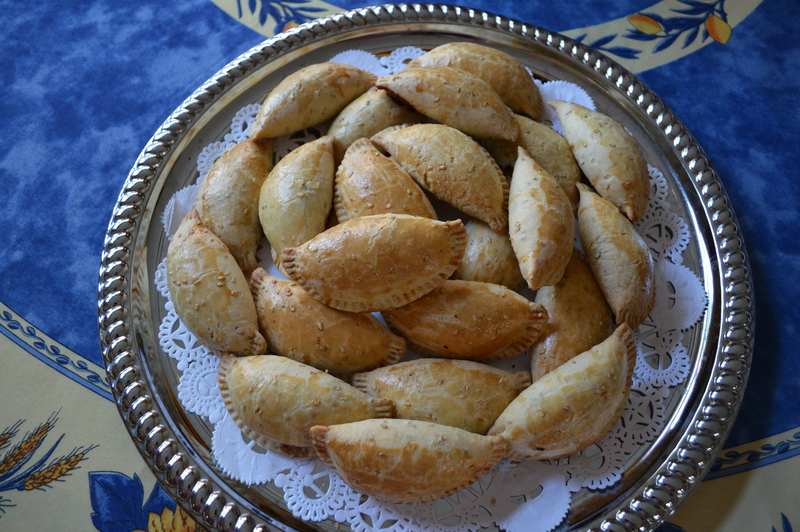 Small turnovers, filled with spinach, parmesan cheese, onions and pine nuts. Celery, carrots, cucumber, cauliflower, broccoli, with a spinach Greek yogurt dip. Medjool dates, stuffed with goat cheese and walnuts. 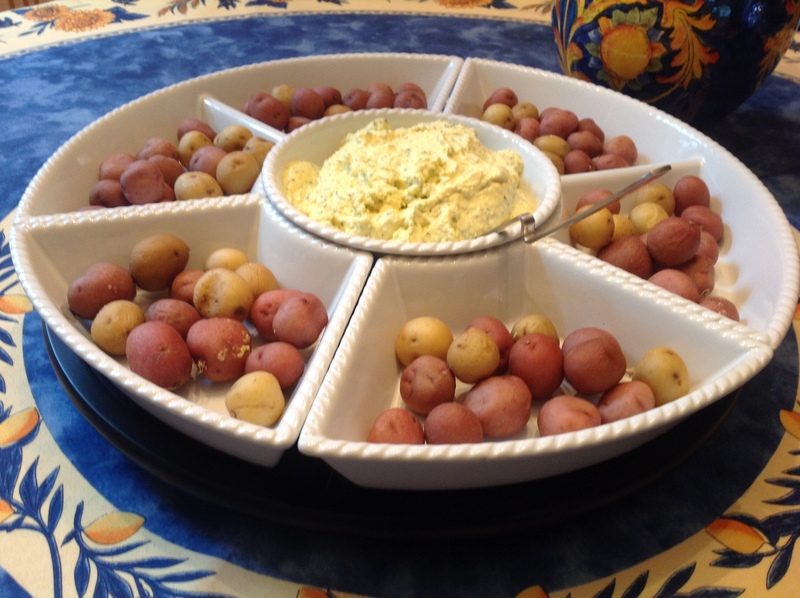 Golden potatoes with a creamy spicy feta cheese sauce, milk, vegetable oil, yellow hot peppers to taste, garlic, lime juice, salt and pepper. 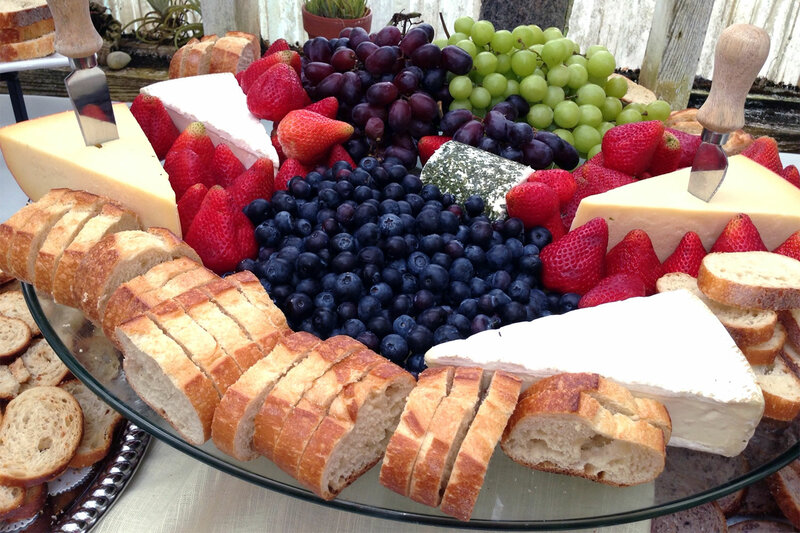 Assorted imported cheeses, Spanish olives, sliced Spanish Chorizo Superior and sliced French bread or crackers. (serves 20 people). Organic tomatoes, basil leaves, extra virgin olive oil, salt, pepper and dill, on top of sliced french bread. All paellas include Honey Dijon dressing, house salad (Mixed organic baby spring mix greens, and French Baguette with Butter. All paella prices are per person. 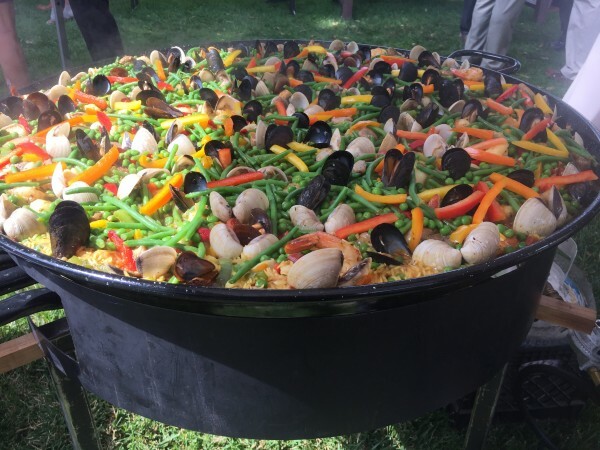 Seafood (mussels, clams, calamari, scallops, peeled and deveined shrimp), boneless organic chicken thighs, Spanish chistorra, pork sausage, timely prepared with bomba rice and vegetables, roasted piquillo peppers, green peas, garlic, onions, bell peppers, Spanish saffron and spices. Chicken thighs, Mussels, clams, calamari, scallops, peeled and deveined shrimp, timely prepared with bomba rice and vegetables, bell peppers, green peas, garlic, onions, roasted piquillo peppers, Spanish saffron and spices. Chicken thighs, peeled and deveined shrimp, timely prepared with bomba rice and vegetables, bell peppers, green peas, roasted piquillo peppers, garlic, onions, saffron and spices. 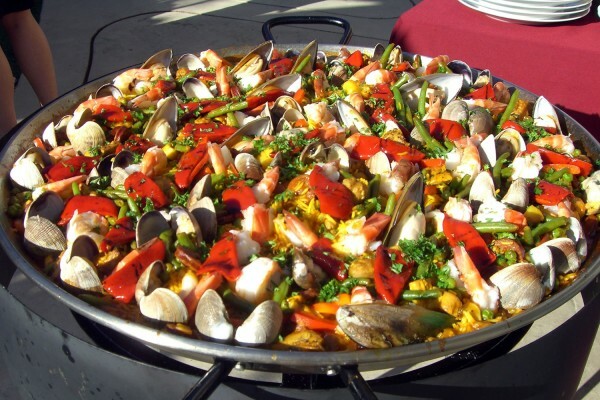 Mussels, clams, calamari, scallops, peeled and deveined shrimp, timely prepared with bomba rice and vegetables bell peppers, roasted piquillo peppers, green peas, garlic, onions, Spanish saffron and spices. 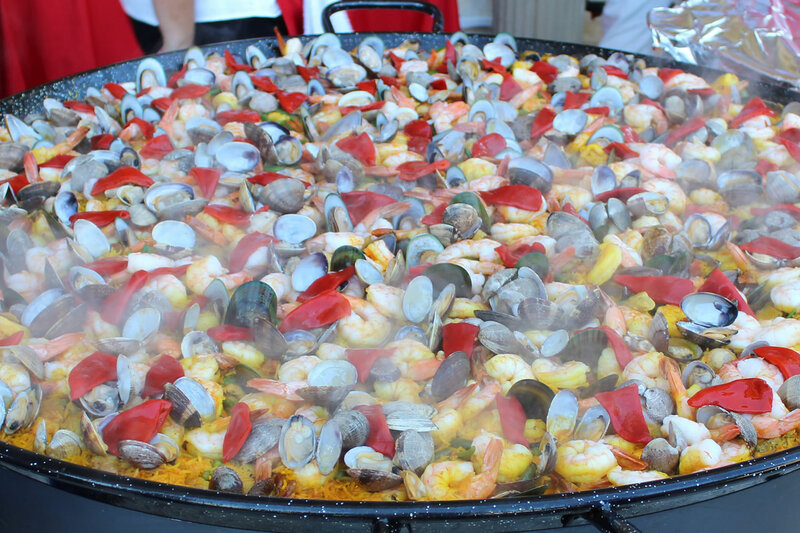 Prepared with bomba rice, boneless chicken thighs, Spanish chistorra, pork sausage, peeled and deveined shrimp and vegetables, roasted piquillo peppers, bell peppers, green peas, garlic, onions, Spanish saffron and spices. 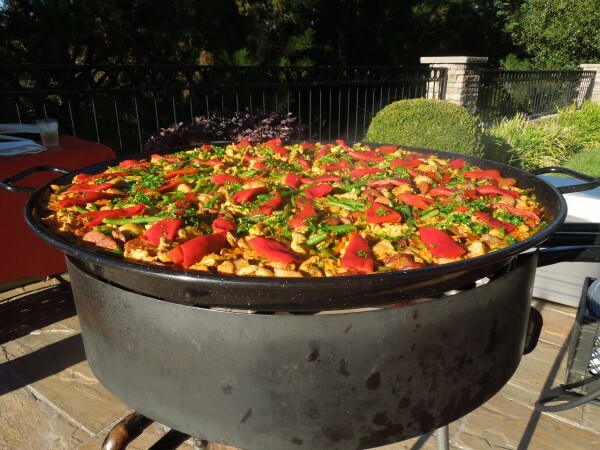 Prepared with bomba rice, boneless chicken thighs, Spanish chistorra, pork sausage and vegetables, roasted piquillo peppers, green peas, bell peppers, garlic, onions, Spanish saffron and spices. Chicken thighs, bomba rice, bell peppers, mushrooms, green peas, roasted piquillo peppers, mushrooms, garbanzo beans, plus Spanish spices and saffron. 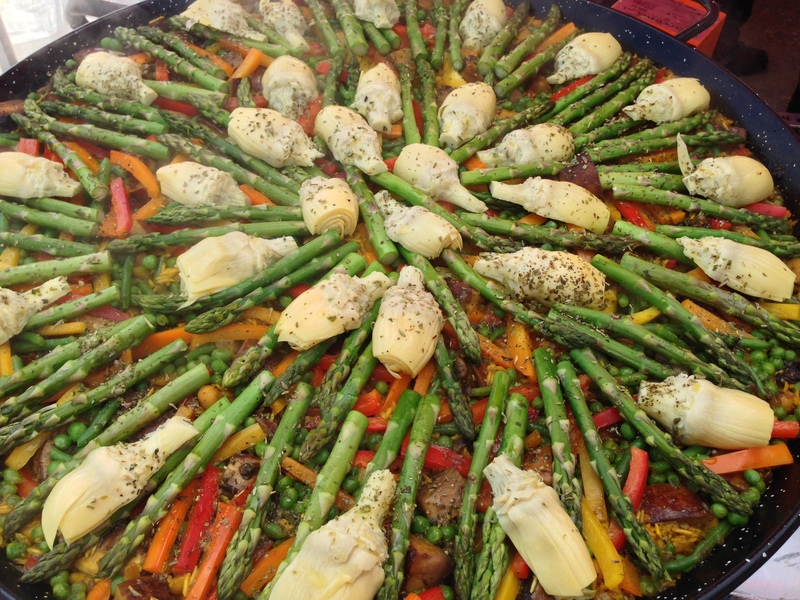 Prepared with bomba rice, bell peppers, onions, garlic, asparagus, green peas, roasted piquillo peppers, mushrooms, garbanzo beans, artichokes, Spanish saffron and spices. 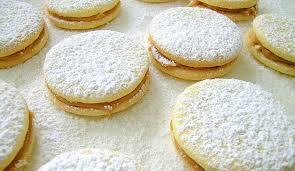 Alfajores ( Peruvian shortbread sandwich cookies with a filling of dulce de leche and crushed almonds). These cookies are a basic shortbread cookie filled with dulce de leche (caramel). The ingredients are organic. One large Alfajor per person.